Joslyn’s state-of-the-art heavy- and light-gauge thermoformers are suitable for forming blister and clamshell packaging for consumer products. Plastic blister packaging is commonly used in retail for lightweight, high-volume products that are easy to ship, stock and open. In custom blister packaging, a grade of plastic is heated and molded to fit a product on a sturdy backing. A tailor-fit plastic cavity is created during this process, securing the product in a casing to prevent movement and damage. Clamshell packaging, or vacuum-formed plastic packaging, offers a stronger visual presence for your product and provides an extra level of security for heavier products. In custom clamshell packaging, two halves of a shaped plastic material are joined by a hinge, allowing the structure to open and close like a clamshell. 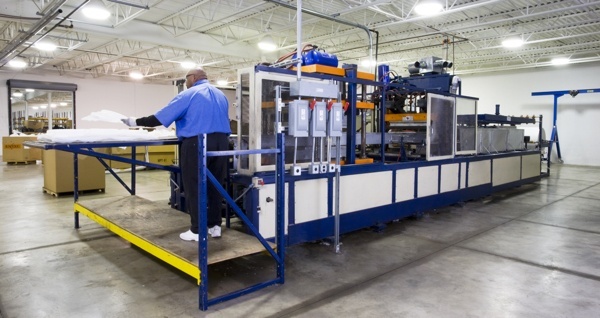 Interested in learning more about our custom thermoformed packaging capabilities and other components for the consumer goods market? Contact us today.